Hailing from Central African Republic (C.A.R. 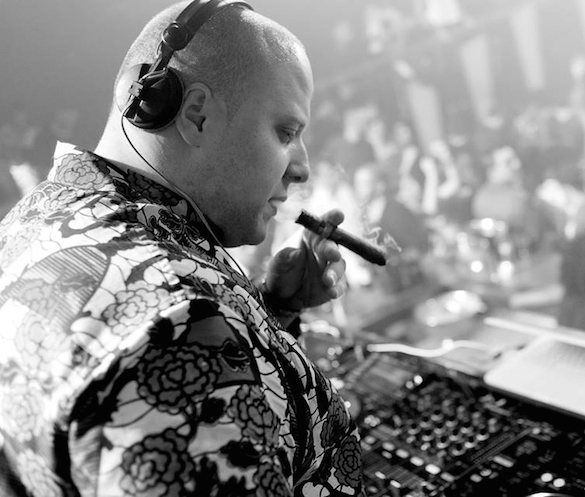 ), Boddhi Satva unique & signature Ancestral Soul sound has gained huge following over his career with prominent artist & DJ’s like Osunlade, Tony Humphries, Louie Vega & others on board. Many of his productions have been released on respectable labels like Yoruba Records, Yellow Productions, BBE Music, Yelloworange, Tony Records, Vega Records, Foliage Records, Atjazz Record Company, Nervous & Soul Heaven. 1) Marvin Gaye – What’s Going On. First time i heard this album was when my father was driving us back from a long trip in the country side near Bria (Eastern part of Central African Republic). I remember him looking at me and saying that this was REAL Music, Music I needed to really appreciate. At the time I was 7 years old and really liked but only several years later did I really understood what he meant and more so now that he is no longer physically with me. 2) Bob Marley – Could You Be Loved. Another song my father introduced me to as I was a child. Actually my older brother (may his soul rest in peace) was the first to put me on this, but shouts out to my pops on it for making sure I understood the essence of this song. This takes me just way way back on memory line. 3) The Pasadenas – Right On. This again was introduced to me by my father. It Really influenced my desire to make music. 4) Zao – Ancien Combattant. This may be hard for some to get, but Zao is definitely one of those who used Jokes to speak about war and it’s devastative impact on the world. This song is another one from when I was a teen. Massive influence on me musically. As much as this came out in the early 80’s it is pretty current when we look at the current state of the world. This song is just one of the many that have made me the musical producer I am today. I was a teen at the time and my friends and I used to rock this over and over back in Bria (Central African Republic). Boddhi Satva latest release “Benefit” is out on Traxsource.